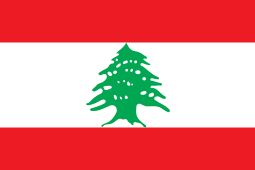 The Lebanese Forces were originally created in 1976 as an umbrella organization co-ordinating all the right-wing party militias of the Lebanese Front, mainly composed of the Kataeb Party. After the assassination of Bachir Gemayel, a few uprisings led to Geagea taking over and dissolving the Lebanese Front. Later developing into a separate organization from those parties in the early 1990s. The party was led by Samir Geagea, former commander-in-chief of the armed organization. The organization was created by the Gemayels, Camille Chamoun, and other party leaders during the Lebanese Civil War. It was initially a conglomerate of the various right-wing party militias, placed under the control of a council composed of various party representatives. The Kataeb Regulatory Forces provided the largest share of fighters and the Kataeb had the largest share on the council. Despite its original creation from party militias, the Lebanese Forces accepted new recruits without any specific party allegiance. The movement fought as the main Lebanese resistance within the Christian-dominated Lebanese Front. During the civil war, the Lebanese Forces fought different opponents at different times: the Palestinian Liberation Organization, the LNM, the LNRF, the Syrian Army, the Druze-dominated PSP in the Chouf, and the Lebanese Army loyal to General Aoun. In the mid-1980s, political friction within the Lebanese Front resulted in growing distance between the Kataeb militants and the rest of the Lebanese Forces. In the end the Lebanese Forces and Kataeb became two separate forces within the Lebanese Front. Bachir led his troops in the infamous "Hundred Days War" in Lebanon in 1978, in which the Lebanese Forces successfully resisted the Syrian shelling and attacking of Eastern Beirut for about three months before an Arab-brokered agreement forced the Syrians to end the siege. Syrians took high buildings such as Burj Rizk Achrafieh and Burj El Murr using snipers and heavy weapons against civilians. The soldiers stayed for 90 days. Another major clash took place near the Sodeco area in Achrafieh where the Lebanese Forces fought ferociously and led the Syrian army out of the Rizk Building. At this time, Israel was the primary backer of the Lebanese Front’s militia. In 1981 at Zahlé in the Beqaa, the largest Christian town in the East, confronted one of the biggest battles – both military and political – between the Lebanese Forces and the Syrian occupying forces. The Lebanese Forces was able to confront them even though there was a big mismatch in military capabilities and was able to reverse the result of the battle of 1981. This victory was due to the bravery of the inhabitants and 92 Lebanese Forces soldiers (L.F Special Forces: The Maghaweer) sent from Beirut. The Syrian occupying forces used all kind of weapons (heavy artillery, tanks, war planes…) against a peaceful town, and they cut all kind of backup that may come from the Mountain. Regardless of the very bad weather and heavy bombing, convoys were sent in the snow to Zahle. Two Lebanese Forces soldiers died on a hill due to bad weather, they were found later holding each other… till they died. The battle of Zahle gave the Lebanese Cause a new perspective in the International Communities, and the victory was both military and diplomatic. It made the Leadership of President Bashir Gemayel much stronger because of his leadership and important role in this battle. The battle started in April the 2nd 1981, and finished with a cease fire and Lebanese Police were sent to Zahle. The 92 Lebanese Forces heroes returned to Beirut on 1 July 1981. Christian East Beirut was ringed by heavily fortified Palestinian camps from which kidnappings and sniping against Lebanese civilians became a daily routine. Christian East Beirut became besieged by the PLO camps, with severe shortages of food and fuel. This unbearable situation was remedied by the Kataeb Regulatory Forces (most notably the BG Squad that was led by Bachir) and their allied Christian militias as they besieged the Palestinian camps embedded in Christian East Beirut one at a time and brought them down. The first was on 18 January 1976 when the heavily fortified Karantina camp, located near the strategic Beirut Harbor, was invaded: About 1,000 PLO fighters and civilians were killed. The Palestinian PLO and al-Saiqa forces retaliated by attacking the isolated defenseless Christian town of Damour about 20 miles south of Beirut on the coast, during the Damour massacre in which 1,000 Christian civilians were killed and 5,000 were sent fleeing north by boat, since all roads were blocked off. The Maronites retaliated with the invasion of the largest and strongest Palestinian refugee camp, Tel al-Zaatar that same year. Bachir, with his KRF militia units, also fought against the PLO and LNM militias at the Battle of the Hotels in central Beirut. The most important battle won by the Phalange for the control of the hotel district was the fighting over the possession of the Holiday Inn, due to its important strategic location. Before that battle, the Holiday Inn had been occupied by the PLO. Eventually the PLO ended up occupying the Holliday Inn once again, while the Kataeb forces retreated to the facing Hilton Hotel in what was known as the "Hotel War". In July 1980, following months of intra-Christian clashes between the Tigers, the militia of Dany, and the Phalangists, who by now were under the complete leadership of Bachir Gemayel, the Phalangists launched an operation in an attempt to stop the clashes within the Christian areas, and to unite all the Christian militias under Gemayel's command. This operation resulted in a massacre of tens of Tigers' members at the Marine beach resort in Safra, 25 km north of Beirut. Camille Chamoun's silence was interpreted as acceptance of Gemayel's controls. In 1981 at Zahlé in the Beqaa, the largest Christian town in the East, confronted one of the biggest battles – both military and political – between the Lebanese Forces and the Syrian occupying forces. The Lebanese Forces was able to confront them even though there was a big mismatch in military capabilities and was able to reverse the result of the battle of 1981. This victory was due to the bravery of the inhabitants and 92 Lebanese Forces soldiers (L.F Special Forces: The Maghaweer) sent from Beirut. The Syrian occupying forces used all kind of weapons (heavy artillery, tanks, war planes…) against a peaceful town, and they cut all kind of backup that may come from the Mountain. Regardless of the very bad weather and heavy bombing, convoys were sent in the snow to Zahle. Two Lebanese Forces soldiers died on a hill due to bad weather and were found later holding each other. The battle of Zahle gave the Lebanese Cause a new perspective in the International Communities, and the victory was both military and diplomatic. It made the Leadership of President Bashir Gemayel much stronger because of his leadership and important role in this battle. The battle started in April the 2nd 1981, and finished with a cease fire and Lebanese Police were sent to Zahle. The 92 Lebanese Forces heroes returned to Beirut on 1 July 1981. In 1982, Bachir met with Hani Al-Hassan (representative of the PLO) and told him that Israel would enter and wipe them out. Bachir told him to leave Lebanon peacefully before it was too late. Hani left and no reply was given to Bachir. An official Israeli inquiry into events in Beirut estimated that when fully mobilized the Phalange had 5000 fighters of whom 2000 were full-time. On 3 September 1982, During the meeting, Begin demanded that Bachir sign a peace treaty with Israel as soon as he took office in return of Israel's earlier support of Lebanese Forces and he also told Bachir that the IDF will stay in South Lebanon if the Peace Treaty was not directly signed. Bachir was furious at Begin and told him that the Lebanese Forces did not fight for seven years and that they did not sacrifice thousands of soldiers to free Lebanon from the Syrian Army and the PLO so that Israel can take their place. The meeting ended in rage and both sides were not happy with each other. Begin was reportedly angry at Bachir for his public denial of Israel's support. Bachir refused the immediate peace arguing that time is needed to reach consensus with Lebanese Muslims and the Arab nations. Bachir was quoted telling David Kimche, the director general of the Israeli Foreign Ministry, few days earlier, "Please tell your people to be patient. I am committed to make peace with Israel, and I shall do it. But I need time - nine months, maximum one year. I need to mend my fences with the Arab countries, especially with Saudi Arabia, so that Lebanon can once again play its central role in the economy of the Middle East." Nine days before he was to take office, on 14 September 1982, Bachir was killed along with 25 others in a bomb explosion in the Kataeb headquarters in Achrafieh. The attack was carried out by Habib Shartouni, a member of the Syrian Social Nationalist Party (SSNP), believed by many to have acted on instructions of the Syrian government of President Hafez al-Assad. The next day, Israel moved to occupy the city, allowing Phalangist members under Elie Hobeika's command to enter the centrally located Sabra and the Shatila refugee camp; a massacre followed, in which Phalangists killed between 762-3,500 (number is disputed) civilians, mostly Palestinians and Lebanese Shiites, causing great international uproar. Many cite the massacre as revenge for the killing of Bachir Gemayel and the countless massacres committed by the PLO against the Christian civilian population since 1975. After the Israeli invasion, the IDF troops settled in the Chouf and Aley from party militias, the Lebanese Forces returned to the villages which had been occupied by the PSP for seven years. However, soon after, clashes broke out between the Lebanese Forces and the Druze militias who had now taken over the districts. The main Druze militiamen came from the Progressive Socialist Party, led by Walid Jumblatt, in alliance with the Syrian Army and Palestinian militants. For months, the two fought what would later be known as the "Mountain War", resulting in a large PSP victory. At the same time, the Lebanese Forces troops also fought battles against the Palestinian and Druze militias and the Syrian troop east of the southern city of Sidon. The outcome was also a Progressive Socialist Party victory and a contiguous Druze Chouf district with access to Lebanese sea ports. Later in 1984, the PSP won decisive battles against the Lebanese Army in the Chahar region in the Aley District. The PSP then attacked further into Souk El Gharb, a village held by the Lebanese Army's 8th Mechanised Infantry Brigade commanded by then Colonel Michel Aoun. The attackers were fiercely pushed back as the American helped Aoun by bombing the PSP from their navy. On 12 March 1985, Samir Geagea, Elie Hobeika and Karim Pakradouni rebelled against Abou Nader's command, ostensibly to take the Lebanese Forces back to its original path. The relationship between Geagea and Hobeika soon broke down, however, and Hobeika began secret negotiations with the Syrians. On 28 December 1985, he signed the Tripartite Accord, against the wishes of Geagea and most of the other leading Christian figures. Claiming that the Tripartite Accord gave Syria unlimited power in Lebanon, Geagea mobilized factions inside the Lebanese Forces and on 15 January 1986, attacked Hobeika's headquarters in Karantina. Hobeika surrendered and fled, first to Paris and subsequently to Damascus, Syria. He then moved to Zahlé with tens of his fighters where he prepared for an attack against East Beirut. On 27 September 1986, Hobeika's forces tried to take over the Achrafieh neighborhood of Beirut but the Lebanese Forces of Geagea's command held them back. Two rival governments contended for recognition following Amine Gemayel's departure from the Presidency in September 1988, one a mainly Christian government and the other a government of Muslims and Lebanese Leftists. The Lebanese Forces initially supported the military Christian government led by General Michel Aoun, the commander of the Lebanese Army. However, clashes erupted between the Lebanese Forces and the Lebanese Army under the control of Michel Aoun on 14 February 1989. These clashes were stopped, and after a meeting in Bkerké, the Lebanese Forces handed the national ports which it controlled to Aoun's government under pressure from the Lebanese National army. The Lebanese Forces initially supported Aoun's "Liberation War" against the Syrian army, but then agreed to the Taif Agreement, which was signed by the Lebanese deputies on 24 October 1989 in Saudi Arabia and demanded an immediate ceasefire. Aoun's main objection to the Taif Agreement was its vagueness as to Syrian withdrawal from the country. He rejected it vowing that he "would not sign over the country". Fierce fighting in East Beirut broke out between the Lebanese Forces and the Lebanese Army under Michel Aoun after the Lebanese Army, under orders of Michel Aoun, began stopping and arresting members of the Lebanese Forces. These events led to the "Elimination War" on 31 January 1990. The war continued until the defeat and exile of Aoun to France in August 1990. 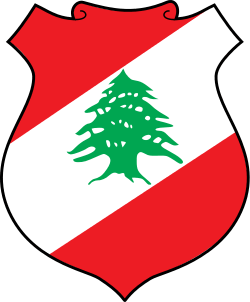 During the war, the Lebanese Forces made major strides and victories including the capture of many of the army's encampments, barracks, and units. After Aoun surrendered on 13 October 1990 to the rival Syrian-backed President Hrawi, Geagea was offered ministerial posts in the new government. He refused several times, because he was opposed to Syrian interference in Lebanese affairs, and his relationship with the new government deteriorated. On 23 March 1994, the Lebanese government headed by Rafic Hariri ordered the dissolution of the Lebanese Forces. On 21 April 1994, Geagea was arrested on charges of setting a bomb in the church in Zouk, of instigating acts of violence, and of committing assassinations during the Lebanese Civil War. Although he was acquitted of the first charge, Geagea was subsequently arrested and sentenced to life imprisonment on several different counts, including the assassination of former Prime Minister Rashid Karami in 1987. He was incarcerated in solitary confinement, with his access to the outside world severely restricted. Amnesty International criticized the conduct of the trials and demanded Geagea's release, and Geagea's supporters argued that the Syrian-controlled Lebanese government had used the alleged crimes as a pretext for jailing Geagea and banning an anti-Syrian party. Many members of the Lebanese Forces were arrested and brutally tortured in the period of 1993–1994. At least one died in Syrian custody and many others were severely injured. The Lebanese Forces was an active participant in the Cedar Revolution of 2005, when popular protests and international pressure following the assassination of former Prime Minister Rafik al-Hariri combined to force Syria out of Lebanon. In the subsequent parliamentary election held in May and June, the Lebanese Forces formed part of the Rafik Hariri Martyr List, which also included the Future Movement, Popular Socialist Party, the reformed Phalange party, and other anti-Syrian political groups, as well as a brief tactical alliance with Amal and Hezbollah. The tactical alliance with Hizbollah and Amal would soon end; these majority parties and movements would subsequently form the anti-Syrian March 14 Alliance, which stood opposed to the March 8 Coalition backed by Hizbullah, Amal and the Free Patriotic Movement led by General Michel Aoun who had returned to Lebanon. The Lebanese Forces were able to win 6 out of the 8 MPs that were nominated throughout the various regions of the country. Nevertheless, the elections proved to be very significant because for the first time, supporters of the party were freely able to participate in the election process. Following the party's new political gains, Samir Geagea was freed on 18 July 2005, after parliament decided to amend all the charges he formerly faced. Since Geagea's release from prison, the Lebanese Forces have been rebuilding much of their former image. Some of these works include reorganizing its members and their families, reopening political facilities, and reestablishing their main presence among the Christians of Lebanon. In addition to rebuilding their image, the Lebanese Forces have also been attempting to reclaim former privately funded facilities, which were seized by the Syrian backed government. Currently, the Lebanese Forces have also been striving to reclaim their rights to the Lebanese Broadcasting Corporation, which was initiated by the party in the mid-1980s. Since the emancipation of the party's main leader, Samir Geagea, the party has gained new popularity among the Christian population throughout all of Lebanon. In addition, the Lebanese Forces have also been able to attain a great deal of popularity amongst the younger generation, as evidenced by the annual student elections in Lebanese colleges. The Lebanese Forces, along with their other 14 March allies, made additional gains in the elections geared towards the professional bodies of engineers, doctors, lawyers, and even teachers. The Lebanese Forces held 8 out of the 128 seats of the Lebanese Parliament after the general elections of 2009, and were represented in the Siniora government, formed in July 2005, by the minister of tourism Joseph Sarkis, and then in the second Siniora government, formed in July 2008, by the minister of justice Ibrahim Najjar and the minister of environment Antoine Karam. They are a Christian party within the March 14 Bloc, an anti-Syrian movement. The Lebanese Forces and its main political representatives strive to re-establish the many Christian rights, which were significantly lessened during Syria's occupation of Lebanon, specifically from 1990 to 2005. Some of the Lebanese Force's other main objectives include formulating a just electoral law, which would enable the Christian population to be represented fairly in local and parliamentary elections. The party has also stressed the idea of reaffirming the powers formerly endowed to the Lebanese president before being lessened in the Taef Agreement. Georges Adwan – Elected in 2005, re-elected in 2009. Elie Kayrouz – Elected in 2005, re-elected in 2009. Antoine Zahra – Elected in 2005, re-elected in 2009. Sethrida Geagea (wife of Samir Geagea) – Elected in 2005, re-elected in 2009. Toni Abi Khater – Elected in 2009. Joseph Maalouf – Elected in 2009. Chant Jinjenian – Elected in 2009. Recently, in 2014 the party announced 26 candidates for parliamentary election all across Lebanon but the election didn't take place. More than one candidate was announced in the following districts : two candidates in Bsharri, two candidates in Baabda, two candidates in Zahle and two candidates in Jezzine, two candidates in Zghorta and five candidates in Beirut. The Lebanese Forces also announced candidates in Kesrwan, Metn, Koura, Batroun, Akkar, Tripoli, Baalbeck-Hermel, Aley, Chouf, Tripoli, and West-Bekaa. Antoine Abraham, The Lebanon war, Greenwood Publishing Group 1996. ISBN 0275953890, 9780275953898. Hazem Saghieh, Ta’rib al-Kata’eb al-Lubnaniyya: al-Hizb, al-sulta, al-khawf, Beirut: Dar al-Jadid, 1991. (in Arabic). Jonathan Randall, Going All the Way: Christian Warlords, Israeli Adventurers and the War in Lebanon, Vintage Books, New York 1984 (revised edition). Robert Fisk, Pity the Nation: Lebanon at War, London: Oxford University Press, ISBN 0192801309 (3rd ed. 2001). ↑ "1978: Israeli troops leave southern Lebanon". BBC. 13 June 1978. Retrieved 17 January 2008. 1 2 Harris (p. 162) notes "the massacre of 1,500 Palestinians, Shi'is, and others in Karantina and Maslakh, and the revenge killings of hundreds of Christians in Damur"
1 2 "Historical Fact: The Massacre and Destruction of Damour". Lebanese Forces. Retrieved 2012-05-28. 1 2 "Tel El Zaatar 1976 'Tal el zaatar' ' Tel al zaatar '". Liberty05.com. Retrieved 2012-05-28. ↑ "LEBANON: Beirut's Agony Under the Guns of March". Time. 5 April 1976. ↑ Archived 27 June 2014 at the Wayback Machine. ↑ "Safra massacre". En.academic.ru. 1980-07-07. Retrieved 2012-05-28. 1 2 "Historical Fact: The Battle of Zahle - 1981". Lebanese Forces. Retrieved 2012-05-28. ↑ Safra massacre. En.academic.ru (7 July 1980). Retrieved on 18 July 2012. ↑ Special to the New York Times (1982-09-04). "Begin Said to Meet in Secret With Beirut's President-Elect". The New York Times. "Begin Said to Meet in Secret With Beirut's President-Elect"
↑ "Phalangists Identify Bomber Of Gemayel As Lebanese Leftist". The New York Times. 3 October 1982. Retrieved 7 May 2010. ↑ Lebanon Detains Christian in Church Blast. New York Times, 24 March 1994. Retrieved on 2008-02-13. ↑ UN Commission on Human Rights – Torture – Special Rapporteur's Report. United Nations Economic and Social Council, 12 January 1995. Retrieved on 6 March 2008.